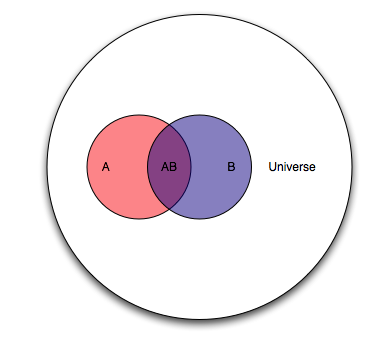 I recently came up with what I think is an intuitive way to explain Bayes’ Theorem. I searched in google for a while and could not find any article that explains it in this particular way. Of course there’s the wikipedia page, that long article by Yudkowsky, and a bunch of other explanations and tutorials. But none of them have any pictures. So without further ado, and with all the chutzpah I can gather, here goes my explanation.